Fed up with your WordPress blog and now want to migrate it to Blogger easily, if yes then here is the all in 1 solution. Before this tutorial out I recommend to read my previous post on WordPress Vs. Blogger Comparison chart. Few days ago I also tells you How to migrate from Blogger to WordPress without loosing SEO and Traffic with complete details now its turn for vice versa. 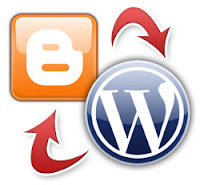 So sit down below and watch how to migrate from Blogger to WordPress in simple steps. Enjoy! This trick will works for that WordPress WXR files less than 1 MB. There is no redirect system in Blogger if you are thinking of redirecting your old WordPress URLS then you are making a biggest blunder don't even think of it Blogger doesn't supports redirects. You might loose SEO and Traffic as well! Only to Transform Your WordPress Blog To Blogger If Your Blog is New. Now upload this file to http://wordpress2blogger.appspot.com/ and click convert. Hence wait for the converted Blogger XML file to be downloaded on your local machine. This file will be the contents of your posts/comments from WordPress in a Blogger export file. Once logged in, click on the Create a Blog link from the user dashboard, and then click on the Import Blog Tool. Note- After you done all your import/export of blog posts from WordPress blog into Blogger, now its time to change your DNS settings to match it with your Blogger custom domain.